The Moving Average Convergence and Divergence (MACD) indicator was developed by Gerald Appel in the late seventies. Traders consider MACD as the grand old daddy of indicators. Though invented in the seventies, MACD is still considered as one of the most reliable indicators by momentum traders. As the name suggests, MACD is all about the convergence and divergence of the two moving averages. Convergence occurs when the two moving averages move towards each other, and a divergence occurs when the moving averages move away from each other. A standard MACD is calculated using a 12 day EMA and a 26 day EMA. Please note, both the EMA’s are based on the closing prices.We subtract the 26 EMA from the 12 day EMA, to estimate the convergence and divergence (CD) value. A simple line graph of this is often referred to as the ‘MACD Line’. Let us go through the math first and then figure out the applications of MACD. When we calculate the MACD value over a series of 12 and 26 day EMAs and plot it as a line graph, we get the MACD line, which oscillates above and below the central line. What does a negative MACD value indicate? What does a positive MACD value indicate? What does the magnitude of the MACD value actually mean? As in, what information does a -90 MACD convey versus a – 30 MACD ? The sign associated with the MACD just indicates the direction of the stock’s move. For example if the 12 Day EMA is 6380, and 26 Day EMA is 6220 then the MACD value is +160. Now, under what circumstance do you think the 12 day EMA will be greater than the 26 day EMA? Well, we had looked into this in the moving average chapter. The shorter term average will generally be higher than the longer term only when the stock price is trending upwards. Also, do remember, the shorter term average will always be more reactive to the current market price than the longer term average. Hence a positive sign tells us that there is positive momentum in the stock, and the stock is drifting upwards. The higher the momentum, the higher is the magnitude. For example, +160 indicate a positive trend which is stronger than +120. However, while dealing with the magnitude, always remember the price of the stock influences the magnitude. For example, higher the underlying price such as Bank Nifty, naturally, the higher will be the magnitude of the MACD. When the MACD is negative, it means the 12 day EMA is lower than the 26 day EMA. Therefore the momentum is negative. Higher the magnitude of the MACD, the more strength in the downward trend. The difference between the two moving averages is called the MACD spread. The spread decreases when the momentum mellows down and increases when the momentum increases. To visualize convergence and the divergence traders usually plot the chart of the MACD value, often referred to as the MACD line. The following is the MACD line chart of Nifty for data points starting from 1st Jan 2014 to 18th Aug 2014. With these two lines, a trader can follow a simple 2 line crossover strategy as discussed in the moving averages chapter, and no longer wait for the center line cross over. The chart below plots the MACD indicator on Asian Paints Limited. You can see the MACD indicator below the price chart. The vertical lines on the chart highlight the crossover points on the chart where a signal to either buy or sell has originated. For example, the first vertical line starting from left points to a crossover where the MACD line lies below the signal line (9 day EMA) lies and suggests a short trade. The 2nd vertical line from left, points to a crossover where the MACD line lies above the signal line, hence one should look at buying opportunity. So on and so forth. Please note, at the core of the MACD system, are moving averages. Hence the MACD indicator has similar properties like that of a moving average system. They work quite well when there is a strong trend and are not too useful when the markets are moving sideways. You can notice this between the 1st two line starting from left. Needless to say, the MACD parameters are not set in stone. One is free to change the 12 day, and 26 day EMA to whatever time frame one prefers. I personally like to use the MACD in its original form, as introduced by Gerald Appel. Introduced by John Bollinger in the 1980s, Bollinger bands (BB) is perhaps one of the most useful indicators used in technical analysis. BB are used to determine overbought and oversold levels, where a trader will try to sell when the price reaches the top of the band and will execute a buy when the price reaches the bottom of the band. The standard deviation (SD) is a statistical concept; which measures the variance of a particular variable from its average. In finance, the standard deviation of the stock price represents the volatility of a stock. For example, if the standard deviation of a stock is 12%, it is as good as saying that the volatility of the stock is 12%. In BB, the standard deviation is applied on the 20 day SMA. The upper band indicates the +2 SD. By using a +2 SD, we simply multiply the SD by 2, and add it to the average. For example if the 20 day SMA is 7800, and the SD is 75 (or 0.96%), then the +2 SD would be 7800 + (75*2) = 7950. Likewise, a -2 SD indicates we multiply the SD by 2, and subtract it from the average. 7800 – (2*75) = 7650. Statistically speaking, the current market price should hover around the average price of 7800. However, if the current market price is around 7950, then it is considered expensive with respect to the average, hence one should look at shorting opportunities with an expectation that the price will scale back to its average price. Therefore the trade would be to sell at 7950, with a target of 7800. Likewise if the current market price is around 7650, it is considered cheap with respect to the average prices, and hence one should look at buying opportunities with and expectation that the prices will scale back to its average price. Therefore the trade would be to buy at 7650, with a target of 7800. The upper and lower bands act as a trigger to initiate a trade. The central black line is the 20 day SMA. The two red lines placed above and below the black like are the +2 SD, and -2SD. The idea is to short the stock when the price touches the upper band with an expectation that it will revert to average. Likewise one can go long when the price touches the lower band with an expectation it will revert to the average. I have highlighted using a down arrow all the sell signals BB generated, while most of the signals worked quite well, there was a phase when the price stuck to the upper band. In fact the price continued to drift higher, and therefore even the upper band expanded. This is called an envelope expansion. The BB’s upper and lower band together forms an envelope. The envelope expands, whenever the price drifts in a particular direction indicating a strong momentum. The BB signal fails when there is an envelope expansion. This leads us to an important conclusion; BB works well in sideways markets, and fails in a trending market. Personally whenever, I use BB I expect the trade to start working in my favor almost immediately. If it does not, I start validating the possibility of an envelope expansion. There are numerous other technical indicators, and the list is endless. The question is, should you know all these indicators to be a successful trader? The answer is a simple no. Technical indicators are good to know, but they by no means should be your main tool of analysis. I have personally met many aspiring traders who spend a lot of time, and energy learning different indicators, but this in the long run is futile. The working knowledge of few basic indicators, such as the ones discussed in this module are sufficient. In the previous chapters, we started building a checklist that acts as a guiding force behind the trader’s decision to buy or sell. It is time to revisit that checklist. The indicators act as tool which the traders can use to confirm their trading decisions, it is worthwhile to check what the indicators are conveying before placing a buy or a sell order. While the dependence on indicators is not as much S&R, volumes or candlestick patterns, it is always good to know what the basic indicators are suggesting. For this reason, I would recommend adding indicators in the checklist, but with a twist to it. I will explain the twist in a bit, but before that let us reproduce the updated checklist. The sub bullet points under indicators are where the twist lies. With all four checklist points being ticked off I would be very glad to buy Karnataka Bank. Hence I place an order to buy, let us say for 500 shares. However, imagine a situation where the first 3 checklist conditions are met but the 4th condition (indicators should confirm) is not satisfied. What do you think I should do? I would still go ahead and buy, but instead of 500 shares, I’d probably buy 300 shares. This should hopefully convey to you how I tend to (and advocate) the use of indicators. When Indicators confirm, I increase my bet size, but when Indicators don’t confirm I still go ahead with my decision to buy, but I scale down my bet size. However I would not do this with the first three checklist points. For example, if the low of the bullish hammer does not coincide in and around the support, then I’ll really reconsider my plan to buy the stock; in fact I may skip the opportunity, and look for another opportunity. But I do not treat the indicators with the same conviction. It is always good to know what indicators convey, but I don’t base my decisions on that. If the indicators confirm, I increase the bet size, if they don’t, I still go ahead with my original game plan. Indicators are good to know, but it should not be treated as the single source for decision making. The indicator is best used while trading intra day. I will probably include a write on this sometime soon. You said it, the best way to learn TA is by keeping it really simple and not complicating it with many lines and indicators. Learning TA seems simple because of the way you presented the information to us. I have been going though your tutorial for last two days and I never felt bored even for a single moment, things have been explained in a very very simple way but in great detail backed by practical experiences. Thanking you won’t be sufficient to express my gratitude to you for writing such a wonderful tutorial. Mind if I ask how are you using stochastics on options? For example what is the candle duration you are using and the details of the stochastic parameters? MACD with 9 day SMA crossover/ MACD SIGNAL example for Asian paints seems wrong. The red line might be for MACD line and black for MACD SIGNAL. Thanks, I’m aware of this. Its just that I’ve not been able to rectify it yet. Will do shortly. I think the MACD/signal line confusion still remains (30/09/2016). “The sentiment is bullish when the 9 day SMA crosses over the MACD Line wherein the 9 day SMA is greater than the MACD line. When this happens, the trader should look at buying opportunities” . This is in fact a bearish sentiment. Please clarify. While changing the above, could you avoid using crosses over in both bullish and bearish scenarios? It creates confusion in newbies like me. Crosses over can be used in bullish sentiment whereas crosses under can be used in bearish sentiment. Or simply could you say that ” When the MACD line (generally black) goes above the signal line, then it indicates a bullish sentiment” or something like that. Thanks. I understand there is a confusion here, will fix it as soon as possible. I hope this issue is automatically resolved when TV is implemented in kite. But, the same issue is still persisting in PI. Be aware. Actually, PI has many other indicators having different interpretation issues. I hope ZERODHA will follow international standards and provide with indicators in its original forms as designed by respective inventors along with with their true interpretation. black is MACD line and pink is signal line.Just believe it and go ahead my friend. What chart do we have to plot to analyze indicators and EMA? Because all parameter values changes when we select min, day, month and year chart. I’m assuming you are talking about the intraday chart. You can look at the 10 or 15mins charts, Bhushan. I wanted to work on overbought-oversold indicators.Now rsi and cci have been here for too long….How do I get better confirmations and reversals?I am sure we need to keep up with latest indicators….as these have been here for ages.Is there anything new I can work on? In the intraday chart, RSI is never touching the oversold region. Can i add a SMA and check the crossover for bullish and bearish confirmation?? No in fact what you can do is estimate the level upto which the RSI increases (on intra day basis) and based on this you can re calibrate the oversold and overbought levels. Not regularly, but you need to understand what levels work for which stock. For example a level of 40 and 60 may work extremely well for Infy while at the same time 30 and 70 may work for TCS. So the point is to identify this metrics. Is there any calculated formula where we can predict the proper closing. If yes, how to calculate?. If no, then how do some people predict in crowd index? Really now understand the application of BBs. One request .. Would you please include in your tutorial Stochastics & their applications soon? Will include a chapter on Stochastics sometime soon. Adani Ent. seems to be trading sideways for considerable time. I found the formation on chart perfectly suited for application of BBs. Lol, why would you embarrass me :). This platform is meant to ask question and learn from one another. Btw, you are perfectly right with Adani Ent. It is at the lower SD..which advocates a long position. But do make sure other things on the checklist confirm. Good luck. Will do that sometime soon. Thanks. this is a paragraph explaining the improvised MACD with the example of asian paints graph. my doubt is the in the graph at the first vertical from the left the cross over occurs the MACD signal(red line) actually goes above the MACD line(black line), but the in the above paragraph quoted from the chapter it mentioned that the MACD signal lies below the MACD line which is contrary to what’s seen in the graph. Hope you have understood my query and let me know where i am going wrong. Wow! Thanks for pointing this, your observation is correct. I need to make this correction. Hi Karthik, I was about to send the query exactly same as that of Teja and just noticed this comment. Is the correction is not made or is it just my understanding gap. Oops I;ve missed this completely. I will look into it shortly. I am still not clear about MACD line and MACD signal example of Asian Paints. The correction has been made on it or not? As I am still confused about it. Gaurav – I will review the entire write up MACD on priority, can you please check back in 2 days? Thanks so much for your patience. Was the correction made in MACD? And also I bit confused here that how can a signal line (which is fast and more reactive than MACD) actually lie below MACD when the trend is up? this seems quite opposite to EMA. 9 SMA (Signal Line) should move over MACD when the trend is up since 9 SMA is recent and should be fast and more reactive than MACD. Please correct me if I’m wrong. I can understand all other concepts quite easily but getting confused here. My bad, I;m yet to make the necessary corrections. Will do as soon as possible. I am having an excellent learning through Varsity. Thank you very much. But I still have the MACD signal vs the MACD line cross over doubt in this article. After reading all the comments, I understood there is/was an issue and I am not able to get to whether it has been solved or not. Can you please elaborate here as to when is a bullish crossover and a bearish one? If the Signal line (9day) (red) crosses over the MACD line (black, 12 and 26) (ie) after crossing, the red is now above black -> does this denote bullish/bearish.. From what I expect it to be is ‘Bullish’, but what has been mentioned is ‘bearish’. Can you please elaborate and let me know if my understanding is correct or not. Thanks. I would be glad if you also include ELDER FORCE INDEX in your varsity. I insist on including this just as I entered a wrong trade and had booked loss due to Force Index being plotted upside down on PI. For an example, please open KITE and PI simultaneously and plot FI on both platforms. You will be shocked…. Sorry to hear about the loss that you booked. Will try and include notes about it. thanks a lot for your worthy articles on FA & TA, I have a doubt on the cross overs of MACD and signal line. in some books it indicates that bullish cross over is when MACD line cross over Signal line. where in the above chapter it is in reverse. Pl. clarify. hi karthik are you sure the signal line is more reactive to the change in prices. i think the macd is more reactive since it the differance and signal is the average its comparatively less reactive to the same change. Most sources like books and wikipedia say that a bullish signal is when MACD line moves over the signal line. Here it is mentioned the other way round. Could you please clarify? The upper and lower bands act as a trigger to initiate a trade. Here is it not important that which candle stck is touching the which band. Bullish band touching upper or lower band or bearish band touching the lower band then it is more strong signal then bullish band is touching the lower band. Also its body which is touching the band or even shadow touching the band or crossing the band, same will have same meaning or it gives some sense of strong or weak signal. Please clarify these variable if they are of concerned. The bollinger band is a volatility, it effective to initiate short trades. I would be happy to see a bullish candle at the lower end of the band while initiating a bullish position. Similarly at the top end I would be happy to see a bearish candle before initiating a short position. It is quite easy to do this, however I would suggest you email [email protected] for the same. here i’m sending bearish macd indicator, stock gravita india ltd. corrected 80 level to 31.
confusion abt MACD and signal line crossover would be cleared iff one considers “MACD line” itself being some scrip, and it has its own 9-DMA as usual. we then follow standard method of trading of using MA only. i wonder , if we can add one more signal line to MACD line (say 21-DMA) and follow 9/21 MA Crossover system to reduce lag? * how can we add custom indicators (which will have its own graph akin to std indicator viz MACD ) in “Pi” ? karthik, You are doing something which is more than EXCELLENT and your courses are Awesome. Please help me with Intraday Charts Provider who feed market data real time(without 5 or 10 mins Lag). Any Provider will do and i can pay for good service also. I am going to use it for Intraday Trading, Swing Trading, Futures and Options. Thanks for the encouraging words Sathish – in fact it is not just me there is a small team involved in bringing this content forward on Varsity. Why dont you opt for Zerodha Pi? Pi has all the features you are asking for. In fact all the charts that I have posted in Technical Analysis module is from Pi. Check out http://www.zerodha.com/pi . I would suggest you use Stochastic in a sideways market…stochastic does now work when the markets are trending. Is Stochastic other name for bollinger band ? No, they are two different indicators. Please elaborate higher the momentum, the higher is the magnitude.Also give detail about momentum n magnitude in basic way mean. Higher the momentum the greater is the spread between the two averages and hence higher is the magnitude of the difference between the two averages. Which indicators(any two) we need to look for sideways and trend markets. for example as stated Bollinger bands works well when market is sideways . Does this applies to commodities as well for day trading Karthik? Yup, TA rules apply to Equities, Commodities, and currencies. can I look for RSI instead of stochastic. You can, should not be a problem. while observing different stocks for Bollinger Brands all most all of them followed Bollinger theory. Iam not understood how is it works in side ways markets only. BB works on a statistical framework. BB especially works well when the stock is in a sideways trend – for the simple reason that it follows the principle of mean reversion. Yes, it certainly looks like one. What are the consequences of a Triple Bottom or a Triple Top?. I hear people talking about these but don’t understand what would happen after the occurrence of one. And how much can we depend on such an occurrence?. sir,its totally confusing,somewebsites say if MACD LINE CROSSES SIGNAL LINE BUY if MACD LINE FALLS BELOW SIGNAL LINE SELL U SAY OPPOSITE WHICH TO FOLLOW, WHY,WHEN,HOW,PLS EXPLAIN DETAILLY. Narsimha – I will go tru the MACD chapter again and confirm. Thanks. Can you please tell me what is the meaning of volume candle color red and green. Volume as such does not have a colour code…but traders usually associate the volume colour with the price. If the price has gone up, then volume bar is green and if price has come down the volume bar is red. Hi Karthik, But I can see for some days the candle is green but the volume is red for the same day and vice versa. Ah, this depends on the software really. Volume can turn red if the previous day’s volume is higher than current day’s volume. Sarath – I would suggest all you shoot all questions related to Pi to Zerodha support. You made an excellent introduction to all the fundamental indicators. I would always take care of my decision using all your TA. But i think there will be confusion in all traders mind that ” What should be best time frame to view this indicators?”, i personally have problem in this. Can you make some tutorial as Suitable Time frame one need to watch for all the above mentioned indicators for Short, Med, and Long trade. Thanks for the suggestion Naitik – just to give you a quick heads up – check out stochastic for intraday, EMA for long term trades, RSI and BB for swing trading. Please note this is just a suggestion, do your due diligence before you act upon it. Thanks Gaurav! Glad you liked the module. WHAT IS MONEY FLOW INDEX, HOW IT WORKS, IS IT WORTH LOOKING FOR SHORTS AND LONGS. Yet another indicator. Will discuss almost all the indicators available in another new initiative shortly. Which stochastic indicator is to be followed Fast or Slow. as I have seen the graph u included on MACD and 9day SMA, I saw buying interest when MACD>9 day SMA and vice versa. Need to recheck this Romi. i am back-testing an indicator on PI , it shows consistent profits on 2 day , 10 day , 20 day run . when i run for 30 days , it shows loss . when i run for 40 days , it again shows profit . i want to use this indicator for pure intraday trading only . what points should i consider before finalizing a strategy and going ahead with full automation ? 1) i really did not understand “leveraged indicator ” ,kindly explain . i used the indicator on commodity futures , i use simple NRML leverage even when i am aware i will close position within the day itself , just to control against excessive leverage . i am not aware about what exactly u mean when u say ” indicator leverage” . 2) risk to reward ratio , how to check this via back testing , i backtested simple long-short , without any kind of exit parameters . 3) frequency is 3-6 on a day per futures script . 4) generally profitable are higher than losers . 5) profitability per trade , how to check this ? 6) what exactly is ” drawdown “? hello , any answers for these above mentioned queries ? 2) For you buy @ 100, with target of 110 and SL of 95, then you are risking 5 for an expectation of 10…risk to reward is 1:2…which is good. However if your strategy gives you a risk to reward of 1:1 then it may not be that great…you are risking 1 for a reward of 1. 6) Drawdown is a measure of how much the profitability has declined from its highest point. For example if my overall profitability Is currently at 10K…but historically it was at 22K, then the drawdown is 12K. Higher the drawdown, the more volatility the strategy is. Thank you for this .. i’m a newbie .. i wanted to know if the macd is more sensitive or the Moving average crossover system . I knogw that macd is a derivative of moving averages . MA is more sensitive to price movements. I do intraday trading in options and in order to judge the trend in nifty, I use google finance nifty 2 min chart.. I want to know that which EMA period is good for intraday trend judgement? 10, 20 or 40? similarly which period is good for RSI? 10 20 or 40?? Regards & Thanks in advance….as I know you will answer…!!! 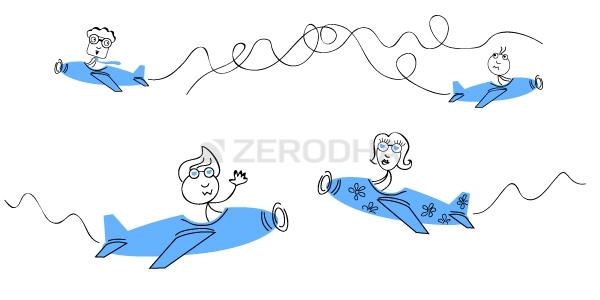 Sooraj – why are you depending on Google for intraday charts when you have super fast streaming via Kite – https://kite.zerodha.com/ . EMA – my personal preference is 9 and 21. RSI – 20 over sold and 80 for over bought. 1) i am still unaware on what exactly is scanner on PI and how to use it ? 2) can we use this EMA+RSI combo for long period stock holding also ? 3) is it possible to fix this strategy on PI scanner & and scan stocks which give this signal ? Actually I am not allowed to carry my personal laptop where I go to work……I just use NEST Mobile Application for trading and use google finance chart in Public PC to view nifty chart. I cannot take risk to log in in public place thats why I dont use kite…. although I have PI software (indeed superb & useful….) that I am able to use only once in a month….!!! I do scalping in Option Premiums and use Bolinger Bond, RSI and EMA for technical analysis. am I doing right Sir? I earn approx Rs 2500 daily (except one big loss Rs 27000…!!). What according to you best technical indicators for premiums in nifty as they vary a lot….?? may i ask what trading capital you use for making 2500 daily ? Also, there is nothing like best technical indicator as each one has its own merits and demerits. I have around 90000 in my capital. I buy premium on dips whenever RSI is below 20 then sell when premium moves 3 to 4 points…. I am new in the market so I don’t go for positional trade as It has already cost me heavy loss in the very beginning. RSI below 20 on the premium itself or the underlying ? 1) RSI below 20 on the premium itself or the underlying ? 2) JUST THIS ALONE , nothing else ? instead of selling it off after a 3-4 point up move , why don’t u simply place a stop-loss and wait if any more profit possible ? I am new so I donot go for much right now…but I will do as you are saying but it will take some time…!!! do you trade ITM , ATM or OTM options ? in this strategy do u calculate option greeks ? or you don’t consider B&S calculator at all ? In the beginning of the series I trade in slightly OTM (at least 10 trading sessions say…) later I trade only in ITM as it has more delta( kartik sir tought us…!!! and dont say thanx as We Zerodha is a Family….!!! Thanks Karthik Sir for your support…!!! Please do add Chapter on Put Call Ratio to define market trend…..only you can explain it in simple & easy to understand language..
Sooraj – we will cover Put Call Ration in the ongoing module on Options Strategy. besides the massive volume surge , what other indicators gave a signal for the massive bullish surge today ? sure , i still await the answer to above question . after starting my trades in Z ..
which have helped arrive at good guesses. 1) despite the q stick showing 3 or 3 and above on crude sometimes, the actual trend is correction for volatility being the KILLER. –> is it okay to use, as it’s misleading in cases like above. “ONLY POSITIVE” being “Zerodha’s RETAIL FRIENDLY Brokerage”.. Thanks for your time to read this, your availability to reply to trivial doubts from clients, willing to share thoughts, inputs despite being a HIGHLY SUCCESSFUL CEO of a terrific Enterprise! Thanks for posting this, I’m sure readers here will benefit! Thank You Nithin/Karthik for this wonderful blog and excellent articles , awaiting your answers on the above. Ram read through your entire comment and i get a feeling your problem could be with time frames. Sometimes simple indicators like moving averages give great results. Super trend seems to be performing really well in these volatile markets. I would suggest you increase the time frame, lower the number of trades to capture larger profits. I was reading the comments thinking it will solve my confusion. but I found that many people have same confusion as of me about MACD and 9 Day SMA signal. You still haven’t changed the content of MACD and 9 day SMA signal. there is confusion regarding what you are saying and what digram is showing. Please do the correction as you have promised to do it in earlier comments. Sushant, I’m sorry about the delay..its just that I’m caught with the 2 modules on Options. Will probably re write the whole of MACD chapter sometime soon (week or 2) to make things clear. Meanwhile we will be putting up a supplementary notes in TA module by today/tomorrow which will contain quick notes about 10 indicators. Please define about MACD histogram.How is it different from MACD?Is the former indicator helpful for day trading when plotted in 1 min chart? I plan to re write MACD chapter altogether, I will include the histogram piece in the new article. I’d suggest you to please wait for few more days. Thanks. I see that you had mentioned about documenting histogram 2 years back, still I don’t find it. I am a newbie, striving to be a trader ! First of all let me tell you, Varsity course is the most comprehensive, well structured & a detailed course especially for a newbies like me. I have not come across such a course even after googling a lot on the web. I believe, Varsity stands out in the crowd!!! Truly respect your efforts and endeavor for providing such a fruitful learning for all of us. I have been seriously following the course, chapter by chapter and by the grace of God, it was easy to digest until now. 1. Why it is so important for the low & support to match? 3. What if the low is quite above the support level? Please suggest and guide, What should I infer or draw conclusions in these situation& What should be my action plan on these trade !!! 1) If the low and Support coincide, then it gives us the confidence that the support level held on and therefore market made a low at support. 2) Then the support becomes the resistance. Remember support and resistance are interchangeable based on the last traded price of the stock. 3) I’d personally be a bit uncomfortable taking long positions when support is still far from low, it gives a feeling that the market could fall further. Appreciate your kind and gentle response to my queries ! Regards ! May God Bless You Sir ! A little confused in MACD & Signal line crossovers when to go long & short. Can you please explain in brief ? This is long due Shafeeq, I will re write the MACD chapter all over again very soon. 1) Depends on your appetite and there is no straight forward answer to this. I prefer to look at 10 or 15 mins data while trading intra day. I have been confused a lot by your chart of asian paints in the MACD line and the 9 day SMA of MACD line. I believe that you have explained the strategy to follow in chart wrongly. With these two lines, a trader can follow a simple 2 line crossover strategy as discussed in the moving averages chapter, and no longer wait for the zero line cross over. In the bracket it should be written that the MACD line turns greater than the signal line for bullish pattern. I have been very much confused with this whole MACD line and 9 days SMA of MACD line pattern and would like to know weather I’m thinking right over here or there has been a understanding problem by me. Please help me out here. Thanks. Ayush – There has been some confusion with MACD chapter. Mistake is from my side…and unfortunately I’ve not been able to put up the correct stuff as I’ve been busy with few other things. Will do this as soon as I can. Yeah, reading all the above comments I became sure that I’m not the only one with the confusion in MACD Chapter. I just want to make sure that the bullish pattern through MACD line and 9 day EMA of MACD is formed when the MACD line turns greater than the signal line ? Thanks for your reply and waiting for the updated MACD chapter. Yes, a crossover of 9 and MACD indicates bullishness. Will update this soon. Thanks for your patience. Hi Karthik, from pure intraday trade persepective if i use 12EMA, 26EMA, 9SMA MACD or 20 SMA Bollinger band indicator, then what is ideal intraday chart for checking 1st and 2nd checklist point which you have highlighed in module. Because 1minute, 5 minute or 10 minute chart candlesticks will be different at a particular time. I know, for all practical reasons, I prefer using the 10mins or maybe 15 minutes chart. How can we find the envelope expands? Is there any specific range to be maintained between top and bottom lines to ensure the market is sideways? You have to track the envelop values, if the market trends then the envelop tends to expand. Please throw some light on ideal envelope value? Thanks for your wonderful lessons i am slowly getting the hang of the game. Yes, the MACD explanation needs to be cleaned up a bit. It been pending for a while from my side. In between the 2 vertical lines in MACD chart for Asian Paints, there are several instances of the MACD crossover (on both sides)… looks like these are false signals… is there any way we can identify which is a false signal and which is a true one? Its a tough call, especially when you start off… you will get a sense of this when you practice many trade set ups with MACD. 5X13 EMA with ADX and RSI combo seems to be working for me to earn consistent decent profits intra day basis.Thanks for all the great explanation provided here. 1st query is about MACD. After introducing the 9 day SMA signal, we are totally ignoring the negative and positive territory aspect of MACD (i.e. above or below level 0), but the Kite application MACD study still shows the territory. Does it signifies anything standard if the crossover is being made in positive or negative territory. 1. The sentiment is bullish when the MACD Line crosses over upside the 9 day SMA signal line as MACD Line is more reactive to current prices as signal line is an average of MACD points itself. When this happens, the trader should look at buying opportunities. 2. The sentiment is bearish when the MACD Line crosses over downside the 9 day SMA signal line. When this happens, the trader should look at selling opportunities. For example, the first vertical line starting from left points to a crossover where the MACD Line crosses downside the signal line (red one) and hence one should look for a selling opportunity. The 2nd vertical line from left, points to a crossover where the MACD line (black one) crossed upside the signal line, hence one should look at buying opportunity. We cannot change the way this appears on Kite simply because we have integrated 3rd party charting engine within Kite. I understand MACD needs an update, will surely do this once the ongoing module on commodities is done. how can i install my additional custom indicator on pi? You can build your own logic using expert advisor feature in Pi. Karthik, I was going the NSE TAME charts and found this – “Most common signal is MACD crossing over the signal line. A buy signal is generated when MACD crosses up through the signal line, where as a sell signal is generated when it crosses down through the signal line”. This is exactly opposite what is give here (Buy signal is when the 9 day SMA crosses over MACD). Could you please confirm which one is correct ? What you’ve mentioned is right. I’ve made a mistake in this chapter…and I’ve been meaning to correct it. For example, the first vertical line starting from left points to a crossover where the MACD signal (9 day SMA) lies below the MACD line and hence one should look for a selling opportunity. The 2nd vertical line from left, points to a crossover where the MACD signal line lies above the MACD line, hence one should look at buying opportunity. Sir I have just doubt while understanding the chart and theory together as you wrote the 9 day SMA(red line) is greater than MACD line(black line) then it is a buying signal where in the chart the red line is greater from black line where it is showing sell signal. What is the exact thing can you please clear? Sammandar, I’m just about to finish the commodities module, once this is done, I’ll fix the MACD chapter. It high on my priority. Request you to wait for few more days. Thanks. The sentiment is bullish when the 9 day SMA crosses over the MACD Line wherein the 9 day SMA is greater than the MACD line. Arent these 2 statements contradicting? Prakhar, I’ll update the part very soon. If i am wrong correct me, because i am bit confused after watching the graph second time? If i want to combine two or more indicators and generate a customized indicator or if i want to generate an indicator(a graphical representation like other indicators not just an alert to signal buy or sell) using a code how do i do it?? in PI and at the same time have access to my indicator in KITE as well?? Request you to please please suggest how to code this indicator in PI…. Hello, I have become a regular reader of zerodha now.. I was looking at a chart and plotted 20 day MA and a Bollinger Band and I was caught by surprise that they both are based on Moving average but the interpretation to initiate a trade are opposite. BB says, If stock price trade above the MA line (near or above the +2 SD) then we should look for shorting opportunities, but the SMA line says look for buying opportunities in such a situation. So, how to deal with this? If a stock is trading above the SMA line but below the upper band of BB we should look for buying till it hits the upper band of BB. Please suggest if I am thinking correctly. BB is an indicator for the mean reversion strategy, works very well for short term trades. MA is best suited for slightly longish time frame trades. 1.) what if the volumes, S&R levels and indicators confirm a long or short position but there is no evident candle stick pattern then should we take the position? similarly if candle pattern is there with S&R levels and indicators confirming a long or short position but without volume then what ? 2.) while the volume crosses the average volume of last 10 days most of the price action has already taken place. so do while taking the position do we assume that the same price trend will continue ? 3.) what is one indicator says yes and other says no? eg the current price is at the -2SD of the BB and RSI value tells that the stock is overbought, then what? 1) I would not take it. For me, CS pattern (which is the price action) would matter the most. I may at time turn a blind eye to volumes…but this really depends on many other factors. Like the overall sentiment in the markets/sector/stock etc. 3) This is bound to happen. You will have to go with the indicator that you trust the most. When I say trust, it has to be by means of rigors back testing. I am interested to use Keltner Channel indicator in kite with settings 20 EMA and ATR 1 to be used in 5 or 15 minutes chart. But I find in your settings you have given period as 50 and shift as 5. Does it mean EMA and ATR respectively which I can change as 20 EMA and ATR as 1 as per my requirement. please clarify. I guess you can customizes it to whichever values you need. So if MACD line crossed the signal line( MACD line above the Signal line) then we consider it as a Bullish and consider it as a buying opportunity. Is my understanding correct? Example Ashok leyland on 25th May, MACD line crossed the signal line. And also is there any way to scan these stocks where MACD line crossed the signal line. I wasted 3 days in understanding the MACD and SMA combination, I thought there is something wrong in me but after reading the comment section I got it clarified. At last, I want to thanks Zerodha Team for providing us with quality products and that too at no cost. 1. As you said MACD is an upgraded and more reliable version of MA crossover, then should we discard the moving average as indicator and learn the MA only as a core concept to understand other indicators, or, the MA crossover still have some advantages and reliability over MACD? 2. What does the BB mean when the price around 20 SMA, should we consider it as neutral and neglect it or it also have sth to say? 3.Say we are looking the indicators (MACD, RSI, OR BB) for intraday with 10 min chart, in this case should we wait for the 9, 20 or 14 candlestick to appear for that particular day or we should include the previous days 10 min intraday charts for using indicators? My concern here is that if we should also include the previous day chart, will the indicators not give false signal incase there is sth important news about the stock (as most of the candles are taken from previous days chart for calculation)? Not too clear about what you are trying to ask. Can you kindly elaborate please? Thanks. 1) Although MA forms the core of MACD, I like MA for its simplicity. Its like samsung vs motorola…end of they day, they all use sony camera lens. I have just started my trading experience. Being an amateur, I have made losses on intraday too much which put me to learn and practice before investing my hard earned money. I would advise newbie’s to go through varsity at least 3 times to get a good understanding of trading. Now, coming to my question, I have some doubt while applying TA. Today (21st July,17), Reliance made headlines after AGM. And that caused the company’s share to grow 3.67%. Now for a newbie trader like me, I was applying my learning and the checklist posted at the end of this chapter to decide whether is this a good time to buy shares or not. Today’s candlestick was bullish marubuzo. RSI level is closed to overbought(75.87). Average Volume(10 points) is also way high than average which confirms buyers at every price point. Now S&R(using Pivot Points) tells me a different view and the closing price has crossed RL1 and RL2. Even MACD and (EMA 25 & EMA 25) indicates that the stock is good for purchase point of view. Q1) What can be the possible outcome of the situation? Q2) What is the difference between MACD and moving average crossover system? 2) MACD uses another round of averaging…whereas a simple crossover system does now. i would like to know abt the ichimoku indicator ! i cant add it in the PI scanner ! ive seen the formula on algos and strategies but it doesnt get added in the scanner ! Can you please drop an email to – [email protected] regarding this? Click on select and choose MCAD from the dropdown. No, not really. Fundamentals is good enough. do not i need to learn TA even at all?? what is Convergence and Divergence?? Convergence in terms of moving averages is when two averages meet and divergence is when the two moving averages move apart. Since this is a moving average, the average value depends on the time frame. It could be 10 day MA or 20 day MA…really depends on what you choose. Can you please help me with the below doubt? When the MACD is at/around the zero line, it means that the two EMAs have no difference. -> Should not this be considered as ‘Conversion’? When the MACD line goes over/under the zero line -> The variation between the 2 EMAs is increasing -> Should not this be considered as ‘Diversion’? When the MACD is at/around the zero line, it means that the two EMAs have no difference. -> Should not this be considered as ‘Conversion’? and the other query you posted – If the MACD is around the zero line, that means that there is no trend. Perhaps the stock is moving sideways. Hence no point trading on MACD. I may be wrong but i do not digest indicator input period being in days. For example, for MACD we r using 12 & 26 days EMA and 9 days EMA for signal line. I think this is fair for long term or positional. But for intraday it should be in hours and minutes because everyday is different. If i want to enter at 12 pm what is the use of above periods, i should be able to plot data from 9:15 am onwards so that i get an indication for that day only. Same doubt for all such indicators. Please reply as I said I may be wrong. Thanks. Yes, in case of intrday you need to load this on 5 or 10 mins charts. The the timeframe frequency will automatically refer to intraday data. Which one is a better indicator among MACD and moving average crossover ? Both are momentum based, I do have a soft corner for MAs. Can you give us (stochastic RSI ) indicator in kite. Will look into this, thanks. did u looking into this??? We have just Stochastic and Stochastic momentum index on Kite, Girish. Not Stochastic RSI. did u look into this??? Girish, the charting engine on Kite and Pi is from a 3rd party. Will pass on the request to include stochastic RSI, hopefully, they should accommodate this. We have that on Kite already. Goto studies and look for it. Its wonderful and worth appreciating the efforts put in the development of Pi and Kite so far. In Kite there is only one Stochastic and another is Stochastic Momentum. Appreciate if you let the user set the %K, %D and Period values according to his/her preference rather than just allowing the user to enter period. Each setting gives different result that suits his/her trading style/strategy. Currently, user can change only period value, while %k and %D values are unknown !!! and cannot be changed. Thus, kindly do the needful so that user can use his/her own values for period, %k and %D – there by making this full stochastic. I understand Vinay, hopefully, this will be fixed soon. I think, this is not fixed yet Mr. Rangappa. It would be so useful and helpful, if you let your customers set the %K and %D values on ‘Stochastics’ indicator. In some websites, the value of divergence is given. What does this indicate ? Guess I’ve covered this in the supplementary note. Please add Elder Impulse System indicator in PI. It is available in Kite, but I prefer trading on Pi. RSI indicator shows in range of 40-60 even if the stocks are at 52 week high or all time high. What could be the reason? I have noticed for many stocks and hence raising this issue. That means, the momentum (in terms of % change) is not high enough to be classified as overbought/oversold. So, I have a doubt about the Bollinger Bands. Say, I want to change the MA type from 20 SMA to 10 EMA… How would the calculations of the bands get carried out then ?? Instead of calculating the standard deviation of 20 SAM, the indicator would calculate for the 10 days EMA. Everything else would be the same. Also, you will end up getting a lot more signals to trade with 10 EMA, but please be aware, lot more does not necessarily mean quality. Firstly, thank you for the prompt response and advise. Secondly, while you are calculating the Bollinger Bands on the SMA, you would be calculating the standard deviation of the last 20 close values. When you get to EMA, what you be calculating the standard deviations on ? standard_deviation(a) // This is the Standard Deviation for the SMA or in other words, the width of the bands. However, this would not be the same calculations for EMA. Even if you look at the Kite app, both the width and the location of the EMA Bollinger Bands are different from the width and the location of the SMA Bollinger Bands. That’s because EMAs are calculated differently than SMA. While reading through the above comments, one of the user “Sooraj J Mishra” had wrote that he was buying premium. Being a novice, this is confusing me. I would appreciate if you could tell me what he meant when he said he was buying premium? Could you confirm what exactly is buying premium. Could you confirm, both call option & put option buy, can only be exercised on the expiration date ? If yes, I am failing to understand the difference between the two. why use one over the other ? Pls help. Please confirm when buying CE only for gaining from selling basis on high premium, is the premium only the thing to watch ? What i meant is out of all the values such as strike price, underlying value etc. the value to watch is premium ? Since i would be squaring off most of the time. If yes, can we check realtime premium value on kite/pi ? If you doing this on intraday, then yes, you can concentrate on option premium. Thanks Karthik for the help !! Candidly speaking, as far as Zerodha’s services are concerned, Varsity is one of the best and the best part of Varsity is you. Just one more question though, how to check realtime premium value of options ? You can see the real-time premium value on kite itself. Just load the option on your Marketwatch and check out the trades on a real-time basis. Hi Everyone, I have been studying TA from Zeordha’s Varsity section. When I matched the SIGNAL LINE AND MACD CROSSOVER, it did not coincide with the price behavior. That is, Signal line above MACD line but stock was not in uptrend. It moved sideways. I understand that MACD is a trend indicator but how do I know that the crossover will result in trend or whipsaws. Any indicator which incorporates moving averages cannot really avoid whipsaws, this is the inherent drawback of averages and there is no way you will know beforehand if a move will transform into a trend or die down as a whipsaw. Understandably so karthik, but JSW Steel behaved totally opposite to what Indicators suggest, I mean, even if Signal Line was above MACD Line the stock was in downtrend. How do I deal with it? Despite studying the indicators, i am unable to get clarity on a stock. Manoj, this is not surprising at all. Hence my dependence on indicators is quite low. I prefer to look at the candlestick pattern to make trading decisions and the indicators only sort of confirming the decision. I’ve stated this on the checklist as well. Yes. You have mentioned it in the book. But there are multiple instances where without any recognizable pattern formation the scrip has moved up. Am I expecting a lot out of indicators? What should i do to enhance my understanding and to increase my knowledge of Technical Analysis. Look for the pattern and volumes, I’d also suggest you pay more attention to support and resistance. Don’t spend too much time one indicators. There are cases when stock moves up without reaching the support or vice versa. If I look for pattern and S&R I will miss out on many opportunities. Isn’t it? I have another query, how do I screen stocks for trading? I tend to stick to a particular set of stocks present in my market watch. In section 15.4, while mentioning the 4 checklist for buying position in KBL, the 4th point mentions MACD crossover.It is mentioned as signal line crossing over macd line. I think it needs to be macd line crossing over signal line. Please check. Correct me if I am wrong. I think this is correct, Pushkar. Can you re-read this once? Thanks. Will try and do that as a supplementary note. Thanks. I need to build this into excel. Will try and do this when possible, hard to commit a timeline. Hi,Thanks for nice chapter……is zerodha has super trend ,DMA indicator..in kite ? Kite has Supertrend, however, Displaced Moving Average is not available. You have explained that,in Bollinger bands , if the price touches the Upper or lower band then it is expected to move to average.But my doubt is, what if the CMP is above the Upper band/ CMP is below the lower band (mean if the price has breached the bands),still is it expected to return to average or it would drift the same direction? There is only a possibility of the price reverting to mean. In fact, some traders even expect the price to increase or move in the same direction when the price hits the upper/lower bands. 1. What if the price had already CROSSED the upper/Lower BB.Still the price will revert to mean or will continue the same direction?It was explained in the chapter that if the price touches the upper/Lower band there is a possibility to revert to mean.Does the same applies if the price had CROSSED the bands too? Because in Average true range band,you have mentioned that “If the stock price PENETRATES either the upper or lower envelop, then the expectation is that the stock price will CONTINUE to move in the same direction. For example if the stock price has penetrated above the upper envelop, the expectation is that the stock will continue to move higher” and you have also said that “ATR bands can be used as an alternate to the Bollinger Band trading system”. 2. In the technical analysis module you have explained about the trend reversal candlestick pattern.Can you give some insight on trend continuation candlestick patterns and explain them in detail (in a separate chapter) as you did for trend reversal patterns? One more doubt regarding BB. Should we need to validate the checklist points before we initiate the trade based on BB like candlestick pattern,volume ,R&S,etc or when the price touches the BB ,we can simply initiate a trade (without validating checklist),with the expectation that price will revert to average? Why i ask this is whenever the price touches the BB , I find that price returns to Avg price very quickly ,that when i wait for the (15 mins )candlestick patterns and all other checklist points to confirm, i miss the movement entirely. Yes, its always better to check the checklist. Remember, the indicator is only a secondary confirmation. It is mentioned as 9-day EMA of MACD in the chapter and as 9-day SMA in the Key takeaways. I guess EMA is correct since it has been mentioned in multiple places. Am I correct? I didn’t understand the convergence and divergence of the MACD line. Convergence means when the difference between the two MA reduces. Divergence means the difference increases. So going by this definition when MACD line comes closer to 0(irrespective of whether it comes from + or – side) it is convergence while if it goes away from 0 it is divergence. But in the explanation it is mentioned as if the MACD line crosses 0 from above(goes from + to -) it is convergence while if it crosses it from below(from – to +) it is divergence. The location of this discrepancy is just below the very first MACD line plot. In the above two points the terms convergence and divergence can be dropped. Agreed, will clean this up. Thanks again. Agreed, thanks for pointing this out. Will do the changes. Basically, the crossover from -ve to +ve area indicates bullish momentum and the crossover from +ve to -ve indicates bearish momentum. Am not getting EMA is calculated here. I checked with the formula and figures are not matching. Can anyone share the EMA formula derivation ? I guess the calculations here are for SMA and not really EMA. What is the difference between the person who trade using candle stick pattern along with indicators and the person who trade solely depending on MACD, RSI, and volumes? I believe your chances of a successful trade is enhanced when you look at candlestick patterns. Hi..can you please clear my confusion .I am confused when should we look for buying opportunity when signal line( 9 day EMA) should be above the MACD line or below.There is contradiction in your explanation part and in your last stated example. Shweta, its a buying opportunity when MACD line moves over the Signal line(9 Day EMA), selling opportunity if MACD falls below the Signal line. Read it through, don’t find any contradictions. Sir, i did not understand this point. can you please explain? This means to say that the MACD value is also dependent on the stock price, for example, MACD for Ashok Leyland could be 19, but for Bank Nifty, it could be 190. If the macd line is at 5 and the 9 day ema line is at 7, does that mean their is more volatility in the stock? Also, how to identify momentum stocks? Please explain sir.. Since they are almost around the same value, I’d assume there is a sideways moment in the stock. Does not really indicate volatility. Sir, how should we identify momentum in a stock? Does it need ithe research at NSE as well rather than charts. Am asking this because momentum generates more profit than plain market. So curious to know! You can always check few momentum indicators like MA, ADX, +DI etc. These indicators helps you identify and quantify momentum. Single candlestick patterns are not working in intraday trading. 1min/5min/10min candles which candles works best for intraday trading? Which candlestick patterns work best for intraday trading? I’d prefer to look at 10 mins candles. Sir, How should we apply min crossover MA? As the input takes value for days and not for hours or mins? A bit confused..
Also, i want your suggestions on this analysis.. The candle has formed bullish marubozu at 80.25. The volume is at 65150780 shares for the day. I was unable to plot the S&R. The Bullish marubozu has formed after the formation of flag pattern in the stock for 3 consecutive days. The indicators, RSI is near Overbought at 62.33, MACD has a magnitude of 3.68 and the ADX is at 36.21. Is this the right approach to look at the stock technically. I had an urge to qualify this from you though I have already went long. Many a times i a unable to plot S&R is their any simple idea to do so? Also, as long as you have a thesis backing your trade, you should be confident. Trouble is when you trade without knowing anything. Arey ha.. never trade a candle less than 1% and more than 10 %, you said.. ? thanks for your advice sir..
You can overlay the MA on the minute chart and that should suffice. If your issue is still not resolved, I’d suggest you create a ticket from the portal. what is smart money flow indicator & how to calculate it ? If the RSI or Bollinger band show a bullish sign (say RSI less than 30 or price at -2 SD line of bollinger band) but the candle pattern formed is a bearish maruboza pattern and all other checklist coincide with candle pattern ,except the indicator( which is in contradictory to candle pattern and other checklist item) ,then what to be done in this case? 1.Go by the candle pattern and other checklist and sell the stock. 2.Go by the indicator and buy the stock as it is oversold/overreacted. 3.Simply avoid the trade since indicator and candle pattern (along with other checklist) is contradicting to each other. Also explain the thought process behind your choice. kindly explain what does this scenario indicate. I did in your previous comment. Indicators are only supplementary, dont pay too much attention to it. I am a newbie, Please explain how the shorting is to be done in Kite? This video shows How to place order on Stoploss basis. To short a contract, you simply have to select the contract and press ‘Sell’. Once you fill the price details, go ahead and press submit, and you would have shorted the contracted/stock. To select the contract means select the strike price call or put and then click on SELL and fill the rate and submit. Am I right? Yes, thats what it means, if you are trying to sell the option, Ranjan. You and your team are doing tremendous job in empowering us in stock market. I struggled a lot in understanding the concepts of stock trading until I came across varsity. The content presented here is easy to understand. You know how we feel when we are sailing in the ocean full of water but actually looking for a bottle of water to drink and after nauticles of journey we actually saw not just an island but an island with full of coconut trees. That is an over abundant joy. And I’m feeling it for the past few months since I started with varsity modules. I’m so happy reading these modules and wondering how I missed it all this time. Thanks to you and your team I started stock trading. To me the word thanks here is equivalent to the size of a tennis ball in front of the size of Sun. My deep respects to your and your team. I have a question, is there any way on pi platform or any other website I can identify everyday a list of stocks that are promising (I.e., stocks that formed identifiable patterns, or confirming some indicators) upon which we can apply the TA and decide trade. I’m asking this question as there are hundreds of companies in the market and I can’t look at every company to apply the TA check list due to time constraint. Thanks so much for your efforts and to Zerodha ? Thanks for the useful content. Indeed helpful in making informed decisions. Just wanted to know your take on investing strategy for higher returns in short-term and long-term – value investing or canslim. I personally have more faith in Value investing. Value Investing is my preference. Still I want to carry on, for which I want your support and help. I’m glad you liked the contents here, Ranjan. Deliverable quantity means the number of shares which were taken for delivery into DEMAT. So higher the number of people taking this, then higher is the long-term interest in the stock and therefore gives a bullish perspective. You can download the bhav copy from NSE – https://www.nseindia.com/products/content/equities/equities/archieve_eq.htm this has all the details. As a newbie myself, how can I identify these ( ” deliverable quantity & traded quantity ” ) from the opened site as per the given link? More over, During the trading attempt do we have to put in additional time to find out these data? What prompt me to do this task is mentioned below. ” The higher the percent of deliverable quantity to traded quantity the better- do this commend has any thing to do with the success of a trade? If the answer is “Yes” then there may be an easy method to find out this relevant data during the trading.In case the answer is ” NO ” I am sorry to disturb you. Seems I failed to express my self regarding this query. Sorry for wasting your valuable time and effort. This is some amazing work you guys have done here.Don’t think any other broker would provide such immense information and guidance for free. Would be happy to see you to make it to the top position from the current 3rd in the upcoming years. I do have a question on the checklists though. 1.When you say ‘There should be a recognization pattern formed’ as the first candlestick pattern ,would you also considered Doji and spinning Top as one ,as they show uncertainty ? 2.If a Doji/Spinning top is formed while also other parameters of the checklist(Vol,S&R and indicator) suggest to take a trade ,in your opinion would you suggest to go ahead with the trade. 3.And in a situation where all points of the checklist meet the critirion except the S&R one ,would you suggest to take the trade ? I have gone through simple moving average (SMA) lesson and Bollinger bands (BB) lesson that is present here. Pasted below the excerpts from both the lessons and I’m bit confused on the position to take when the current market price (CMP)is above the moving average. Because, BB lesson suggests ‘sell’ when the CMP is above average price with the expectation that it eventually comes down to its average price and SMA suggests ‘buy’ with the understanding that traders are optimistic and willing to buy above its average price. I know it is ultimately to my conviction to take a position on the trade but wondering how to interpret these two conflicting messages from these two indicators which are based on moving averages. Can you please help clarifying it? If the current market price is around the upper Bollinger band range (I.e., when the stocks trades above its average price) , then it is considered expensive with respect to the average, hence one should look at shorting opportunities with an expectation that the price will scale back to its average price. Guru, although these two are based on averages, BB differs in the maths involved. BB tells us to what extent the prices have shot up or gone down wrt to the average price. The expectation is that it will retrace back to averages. MA, on the other hand, gives you a sense of how the trend is emerging. Yes, I understand the confusion, but this how the indicators work. It is up to you to learn the nuances and apply them where you think it makes sense. Thanks Karthik. I’ll now move on from this confused state ?? Sir are there any free softwares which can enable us to perform TA on stocks ? If you have an account with Zerodha, then check out the charts in Kite, it has all the tools and utilities you’d need for TA. Chart is not updating in my kite. Request you to do a hard refresh on your browser. In the MACD section, it is mentioned “The sentiment is bullish when the MACD line crosses the 9 day EMA wherein MACD line is greater than the 9 day EMA. When this happens, the trader should look at buying opportunities”. However, in the Karnataka Bank checklist example, it says “There is also an MACD crossover (signal line turns greater than the MACD line)” as a buying opportunity. Let me check this, Jaya. But MACD line = signal line. Were you able to look at this? I could see in the comments above, that this concept has confused to a lot of people. what people are missing is, signal line is EMA of MACD not price, hence it will always be less reactive to price and smoothen out changes in MACD line. Is there any way we can get Fibonacci levels in Kite charts? Fib levels s available on Kite. Can u please include MACD Histogram? will you include MACD Histogram? I’m not really sure if Histogram is a good tool to use, Vijay. In my personal opinion, histogram interpretation is quite hard and can get confusing. Nicely written, much kudos to you for all this hard work, time and effort put into this. I read options first but then it was so nicely written that i went back and started from the introduction itself. Thanks a lot ! I would like to know the formula for calculating Stochastics Momentum Index (SMI). I have list of OLHC of an instrument with timestamp. Could you please help with steps? I looked into few sites, not very helpful. Am getting wrong results than what kite chart shows. Tried with Jul Nifty on day candle. Nirmal, I’ve never implemented SMI formula, so I cannot really comment on this. Nirmal, I’m not sure about the formula used for SMI. I’d suggest you check with chart school dot com. Thanks. Really great tutorials for you .. , never felt bored while reading. Thank you for such a quality literature for newbies like me. a) How to put a SL ? b) How to ensure risk to reward is 1:2 ? Lesser the SL, more the probability of hitting the SL before the target. Higher the SL, risk to reward ratio increases. FYI : I buy CE/PE for intraday. I need to work on risk management of my trades. I would be grateful to have your suggestion on the same. 1) I personally prefer Moving Averages to check the trend, Bollinger bands for volatility, and ATR for setting stops. All these with candlestick patterns for price action. Also, I’m not a big fan of trading options on a intraday basis. I’d rather do futures. Thanks Karthik for superb blog. Does it include MACD line only (12 EMA -26 EMA ),Or it also includes 9 day EMA line of MACD line along with MACD line ? 9×21 EMA cross over ,or MACD ? I usually refer to the entire MACD system which includes the 12, 26, and the signal line. I prefer the simple crossover system over any indicator, including the MADC indicator. Karthik what if the MACD and the signal lines are below the center line and the MACD is below the signal line, lets say MACD = -06 and signal line = -0.5. Basically there is a negative momentum right ? So do we have to see whether it is above the signal line or not ? Yes, above the signal line indicates bullishness. Are you trying to apply this on Kwality? If yes, I’d suggest you don’t apply this on it for reasons stated in the previous comment. No I’m not applying it to kwality but my concern is that the MACD line is already below the centre line so why should I see if it is above/below the signal line ? If it has negative momentum it means that it is bearish right ? I have recently started learning technical analysis and find modules here really helpful. Must say great effort! 2) Is Kite provide real time feed? I think it’s a bit delayed may be 3-4 seconds, is it? 2) Yes, feeds are real-time on Kite. It not delayed. How am I supposed to go to that date manually? If I put in monthly chart and go there, the moment I change time frame to 10-15 minutes, it kicks me back to the current day. I hope, you are not suggesting to set time frame to 10 minutes first and then keep going backwards for a lifetime to reach there. Please suggest how it works, I repeat, I am new to trading and might not have understood your solution properly. Also please incorporate the feature of going to a particular date directly for convenience! Pankaj, currently the only way to go back to a previous date on a lower timeframe is to scroll back, which is inconvenient. Will pass this on the development team if they can find a fix to it. Yes, Please. It’s probably more important than what you guys have thought I guess. Coz any newbie who is trying to learn through books and videos would like to see the setup on his/her screen. That’s the best way to learn I feel. And that’s what you guys are not providing. I am surprised how this has not been highlighted to you earlier or you have ignored it for such a long time. Why ,if you could tell ? Certainly not, Stochastics, as I find it more suitable for intraday trade. I’m not a big fan of RSI either. I’d stick to good old moving averages, I like it for its simplicity. Why can we only open selected stocks from already pooped out chart in Kite. Very limited options are there. Now if I want to open any chart, I have to first add it to my watch list and then pop out chart from there. Very inconvenient! Is the Stoch RSI indicator not available on Kite? Following up on my earlier query. Can you write please contact our support desk for this, Jose? what are the moving averages used in Rainbow moving average indicator and please give the formula for its calculation. The literature presented has been of great help to novices like me, who aspire to know about the markets with no prior knowledge at all. Just a small query on this chapter – The example on Karnataka Bank at the very end says that the momentum turns bullish when the signal line crosses the MACD line. However, going by the theory above, the MACD line should cross the signal line to create a bullish momentum. Would be very helpful if you could put some light on this. The signal line is the 9 day average of the MACD line, Ayush. So we take cues from the signal line and not really the MACD line. MACD line can lead to many false signals especially when the stock is moving sideways. In your above example just after the checklist there is a point “signal line turns greater than the MACD line”. Is this correct in a bullish scenario? Just want to clear my confusion. From the theory I understand the MACD line should be above the signal line in order for it to be a bullish scenario. Please confirm. The signal line is the faster one, that should trigger the signal. While Illustrating example for MACD , i think you have not calculated the EMA. Instead , you took a 26 day SMA and a 12 SMA to calculate the MACD ? . Please clarify. Let me look into that, Praneeth. Thanks. As per the Moving Average chapter, the Shorter MA shall be above the Longer MA in order to convey a bullish trend because it is more reactive. So isn’t the 9 day EMA, the shorter MA in the Asian Paint example? But your explanation says otherwise above. There are multiple crossovers, Shrey. Which one are you referring to? Oh yes, I guess this is a silly mix up. The cues come from the red line, which is the 9 day SMA of a the MACD line. Thanks for pointing this. Will rectify. My question is with regard to BB. Sir, based on your personal experience is BB more effective in 15-30 minutes candles or EOD Candles? in other words is it effective in intraday or swing trades? Daniel, I think it is more effective on the EOD charts for swing trades. Thank you! Just to confirm, BB isn’t effective for short term trades (Intraday), right sir? Yes, BB can be effective for both swing and intraday trades. My personal preference is for swing trades. Hi Karthik, is there any software or Mobile App for BSE or NSE which provides all the candle stick patterns data (i mean to ask alerts) and all the indicators where we can customize to set the indicator between the time periods. Hi Karthik, i did not find any Varsity app neither on Apple App Store nor on Android play store. Are you referring the the above Varsity documentation? Please provide the App store link for Varsity App . So I use 14 period and 3 smoothK and 3 smoothD. I understand Zerodha’s default smoothD is 3 (they told me on Twitter) but where do I put the smoothK data ‘cos on the indicator settings, there’s only ‘Period’ option. 1) Period = 14 days, Standard deviation can be either 2 or 3, I prefer 3, MA should be EMA. 3) Not really, cause BB kind of factors in the EMA. Using both crossover and BB may lead to confusion. In the MACD crossover explanation it is stated that “the sentiment is bullish when the MACD line crosses the 9 day EMA wherein MACD line is greater than the 9 day EMA”. Yup, its a typo. Have made the correction in the comments above. Hey karthik.. first of all thanks a lot. Your modules are awesome and it has became very easy to study about the indian markets. Hats off to you…….Well, my question is = If i have studied a stock completely( candles, volumes and indicators). And i know that it will move up the next day, but after the markets close and a negative news regarding the stock appears. For ex. A sudden problem in the company management or the resignation of the CEO which indicates a negative news for the stock. So should i still buy the stock owing to the analysis done or should i avoid it???. Sumeet, the thumb rule is that the fundamentals precede the technicals. So in the event of any fundamental news, ignore the technical patterns. You have mentioned the sentiment is bullish when the MACD line crosses the 9 day EMA where MACD line is grater than the 9 day EMA. There is also an MACD crossover(single line turns grater than the MACD line). Pranay, let me recheck and get back on this. As a swing trader, can I use the Bollinger Bands as a proxy for support and resistance levels? Nope, BB does not substitute for S&R. Is there a indicator for comparing the script with the index, like the relative strength comparator, could one be developed by your team. Nope, thats not there RC. Now I am going through all the comments to may be learn something more. I have one query. I have heard quite a bit about Market Profile. Will you be covering them in future? Can we expect Zerodha to introduce Market Profile in Kite in near future? If not, where can I learn about it? No plans as of now about Mkt profile, but it does look like an interesting area…so maybe we will put up the content ard mkt profile sometime. Nice! Looking forward to the material on Market Profile. I would like to thank Team Varsity for 10 times via different comments because of the reason being you guys have made it so simple and crystal clear!! Many thanks for the Hard Work! !